Tri-State Business Systems is the industry leader when it comes to providing your barcode label printing supplies. We proudly serve the New York, New Jersey, Connecticut and Pennsylvania areas as well as providing sales nationwide. Our team is highly trained to assist you in all of your barcode system needs. Whether you are just implementing a barcoding system, ordering supplies or need troubleshooting advice, we are happy to assist you with any and all of your needs. Barcode labels are used in all types of businesses. Manufacturers, distributors, retail establishments and schools are just a few examples of industries that utilize barcode systems. Many of these systems have a need to print barcode labels. In addition to a wide selection of barcode scanners, Tri-State Business Systems also carries a full product line of barcode printing supplies with everything from labels and thermal ribbon to printers and software. 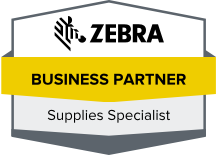 If your company or business is looking for an economical alternative to the name brands, Zebra or Datamax barcode label supplies, check out our full line of TSBS labels and ribbons. We carry affordable product solutions that are guaranteed to work with your existing barcode label printing systems. Contact us today to place your order or to find out more information about our barcode label printing supplies from Texas, Florida, Michigan and Nationwide.